Instructor. 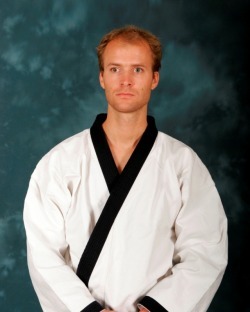 Matt Torchia began his training at age 6 in New London, CT, attaining black belt at age 10 (Moo Duk Kwan Dan #32318). He has competed in numerous local, state, and national tournaments, winning national champion in forms at age 7 as a green belt. He was promoted to Sam Dan (3rd degree black belt) at age 16. Matt graduated from the University of Connecticut in 2005 and moved to Orange County to pursue his accounting career. Although Mr. Torchia no longer regularly instructs he continues to support the school in financial and accounting matters.